﻿ Can Zidane turn out to be the perfect manager for Real Madrid? 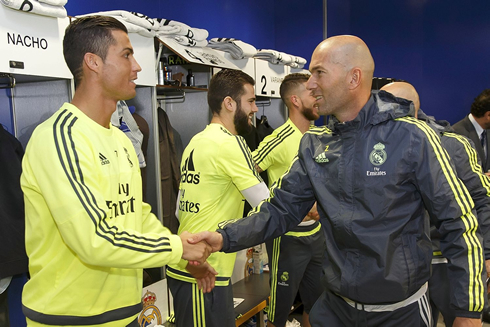 06.01.2016 » Can Zidane turn out to be the perfect manager for Real Madrid? 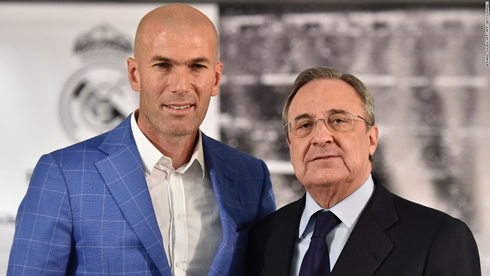 There's a new man at the helm of Real Madrid and he's no stranger to any football fan out there. Zinedine Zidane was appointed as Real Madrid's new manager this past Monday, shortly after the president, Florentino Pérez, decided to swing the axe at Rafa Benítez. Rafael Benítez's coaching adventure in Real Madrid has come to an abrupt end just a few days after the new year's eve and his successor, Zinedine Zidane, was announced on the very same day. The Spaniard, who only lasted 7 months on the job, leaves Real Madrid on the bumpy track to still challenge for the two most important titles of the season, La Liga and the UEFA Champions League. 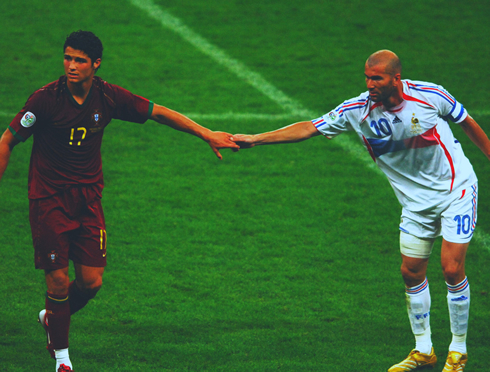 It's now up to Zidane to pick up the pieces and convince the Madridismo to back up this team again. The 43-old legend will have his first big experience as a first-team manager in what many consider to be the toughest job in the game. Can he really succeed in the upcoming months? Zinedine Zidane. The name alone comes with a sense of pride for Madridistas around the world. A legend of the game, the Frenchman spent 5 seasons at the Spanish capital delighting the fans with his silky smooth playmaking and sublime skills. And now, 15 years after he was first signed, he's taking over a new position, right at the helm of Real Madrid. Naturally, there is an enduring sense of optimism at the club. Photos of "Zizou" with the squad were shared all across any Madrid-related platforms and judging by the comments from fans, everyone is excited. In fact, it's hard not to be. For many fans and players alike, Zidane was the epitome of class, the way he controlled the ball and ultimately the game, was spellbinding. And of course, his game-winning goal in the UEFA Champions League final against Bayer Leverkusen is still etched in the minds of Madridistas everywhere. But there is still some skepticism. Zidane is very inexperienced at the top level. Though he's trained under both Carlo Ancelotti and José Mourinho, most believed he would manage at a smaller club before taking on a role at Real Madrid. But Florentino Perez's somewhat hasty dismissal of Rafa Benitez has thrust the club legend into the spotlight and he's being tasked with rescuing a season that's been anything but ideal by Madrid's lofty standards. 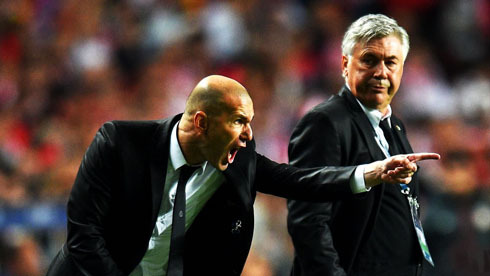 Will Zidane succeed? The jury is certainly still out. He has the squad to compete, but asking him to rescue a team that's currently sitting at several points deficit in La Liga will definitely be a tough task. If one thing is certain however, it's that Zidane will certainly inspire the players and the likes of James and Isco, in particular, will be excited to work under the magician. Let's see if his magic on the field translates to magic from the touchline. Cristiano Ronaldo next game will be for Real Madrid in La Liga on the 9th of January of 2016, against Deportivo La Coruña. You can watch Juventus live stream, Real Madrid vs Deportivo, Barça vs Espanyol, Everton vs Manchester City, Arsenal vs Sunderland, and Wycombe vs Aston Villa, all matches provided from our live football game pages.